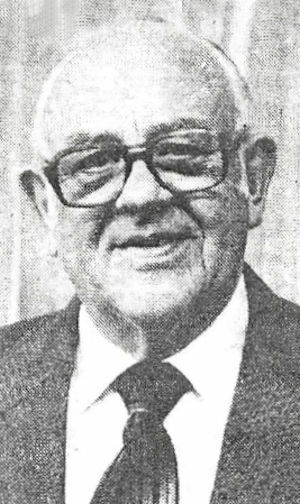 Obituary – Johnson, Leo Deverne « Perry High School Alumni Association, Inc.
Ruf Nex, Hi-Y, Glee Club, Scopics Club, Business Manager of Perryscope, Citizenship. Former Perry postmaster, Leo Johnson, 74, 830 Holly street, died at 8:30 a.m. Thursday at Bass Baptist hospital at Enid where he was admitted Wednesday. Funeral arrangements were pending Thursday at Brown Funeral home. 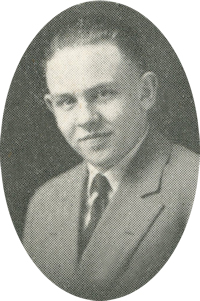 Johnson was born at Perry, Jan. 1,1911. He was the son of Henry L. and Elsie Johnson. Johnson was a graduate of Perry high school and was married on June 6, 1934, to Hortense Bullock at Caldwell, Texas. Johnson operated the Corner Fruit Market in Perry from 1934-1943. He served in the United States Navy during World War II. Johnson operated the Perry bus station and cafe from 1945-1953 and was Perry postmaster from 1953-76, when he retired. He was an active member of the First Christian church, where he had served as an elder and deacon. Johnson was a member of the Perry Rotary club and the Masonic lodge. He also had been active in Boy Scouts of America programs. Memorials may be made to the Oklahoma Central Christian Camp or Cal Farley’s Boys’ Ranch. Among survivors are three sons, Charles Johnson, Salt Lake City, Utah; Ray Johnson, Hays, Kan.; and Robert Johnson, Ponca City; one brother, Clyde Henry Johnson, Sharon, Kan.; and nine grandchildren.